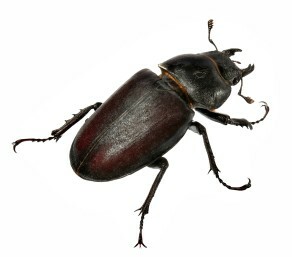 There are 12,000 different kinds of beetles in the United States and more than 300,000 species in the world. Beetles are found on land and in fresh water and can adapt to almost any environment. Beetles usually just live where they eat. Seal all cracks around doors, windows, siding and utility pipes with silicone caulk. Make sure there are no tears in window screens. Install insect screening over attic vents and exhaust vents. Be careful about vacuuming up ladybugs. They can release a yellow foul-smelling repellant that can get into the air. Take action before winter starts. During late fall, ladybugs are known to look for a winter abode.